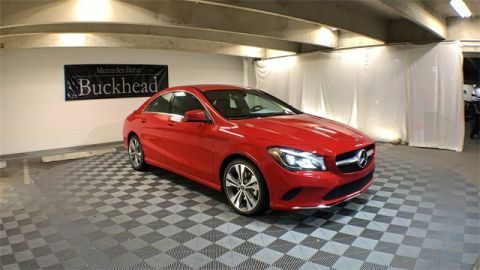 Mercedes-Benz of Buckhead is pleased to offer you this impressive 2019 Mercedes-Benz CLA, generously equipped and finished in beautiful Jupiter Red, along with . Advertised price excludes all official government fees and taxes, dealer fees and customer-selected options. Please inquire about our Star Elite and Loyalty Rewards Programs. You may also be eligible for additional incentives and/or discounts, so please contact your Mercedes-Benz of Buckhead Sales Professional for more information. 2019 Mercedes-Benz CLA CLA 250 Jupiter Red 24/37 City/Highway MPG Mercedes-Benz of Buckhead prides ourselves on our exceptional customer satisfaction ratings .... Everyday. Our Certified professional sales staff’s only goal is to treat you to the most relaxed, enjoyable and trustworthy purchasing experience that you have ever had. Our convenient Buckhead location near Lenox Mall and Phipps Plaza, very flexible Sales and Service hours, and expansive of selection of weather-protected new and pre-owned automobiles only adds to that experience. Please allow us to show you what make Mercedes-Benz of Buckhead the luxury car dealership of choice in the entire Southeast. Enjoy our gourmet Cafe Benz, award winning Service department and be assured that our commitment to serving you is absolutely the #1 priority! Mercedes-Benz of Buckhead - Where People Drive Us. Every new Mercedes-Benz comes with the peace of mind associated with 24/7 Roadside Assistance throughout its warranty period, the industry's highest consumer confidence ratings, and the quality, comfort, and safety you expect from the world's first car manufacturer.Mercedes-Benz of Buckhead is pleased to offer you this impressive 2019 Mercedes-Benz CLA, generously equipped and finished in beautiful Jupiter Red, along with . Advertised price excludes all official government fees and taxes, dealer fees and customer-selected options. Please inquire about our Star Elite and Loyalty Rewards Programs. You may also be eligible for additional incentives and/or discounts, so please contact your Mercedes-Benz of Buckhead Sales Professional for more information. Mercedes-Benz of Buckhead is pleased to offer you this impressive 2019 Mercedes-Benz CLA, generously equipped and finished in beautiful Polar Silver, along with . Advertised price excludes all official government fees and taxes, dealer fees and customer-selected options. Please inquire about our Star Elite and Loyalty Rewards Programs. You may also be eligible for additional incentives and/or discounts, so please contact your Mercedes-Benz of Buckhead Sales Professional for more information. 2019 Mercedes-Benz CLA CLA 250 Polar Silver 24/37 City/Highway MPG Mercedes-Benz of Buckhead prides ourselves on our exceptional customer satisfaction ratings .... Everyday. Our Certified professional sales staff’s only goal is to treat you to the most relaxed, enjoyable and trustworthy purchasing experience that you have ever had. Our convenient Buckhead location near Lenox Mall and Phipps Plaza, very flexible Sales and Service hours, and expansive of selection of weather-protected new and pre-owned automobiles only adds to that experience. Please allow us to show you what make Mercedes-Benz of Buckhead the luxury car dealership of choice in the entire Southeast. Enjoy our gourmet Cafe Benz, award winning Service department and be assured that our commitment to serving you is absolutely the #1 priority! Mercedes-Benz of Buckhead - Where People Drive Us. Every new Mercedes-Benz comes with the peace of mind associated with 24/7 Roadside Assistance throughout its warranty period, the industry's highest consumer confidence ratings, and the quality, comfort, and safety you expect from the world's first car manufacturer.Mercedes-Benz of Buckhead is pleased to offer you this impressive 2019 Mercedes-Benz CLA, generously equipped and finished in beautiful Polar Silver, along with . Advertised price excludes all official government fees and taxes, dealer fees and customer-selected options. Please inquire about our Star Elite and Loyalty Rewards Programs. You may also be eligible for additional incentives and/or discounts, so please contact your Mercedes-Benz of Buckhead Sales Professional for more information. 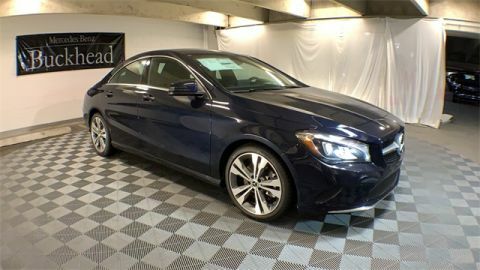 Mercedes-Benz of Buckhead is pleased to offer you this impressive 2019 Mercedes-Benz CLA, generously equipped and finished in beautiful Lunar, along with BLACK MB TEX Artificial Leather. Advertised price excludes all official government fees and taxes, dealer fees and customer-selected options. Please inquire about our Star Elite and Loyalty Rewards Programs. You may also be eligible for additional incentives and/or discounts, so please contact your Mercedes-Benz of Buckhead Sales Professional for more information. 2019 Mercedes-Benz CLA CLA 250 Lunar 24/37 City/Highway MPG Mercedes-Benz of Buckhead prides ourselves on our exceptional customer satisfaction ratings .... Everyday. Our Certified professional sales staff’s only goal is to treat you to the most relaxed, enjoyable and trustworthy purchasing experience that you have ever had. Our convenient Buckhead location near Lenox Mall and Phipps Plaza, very flexible Sales and Service hours, and expansive of selection of weather-protected new and pre-owned automobiles only adds to that experience. Please allow us to show you what make Mercedes-Benz of Buckhead the luxury car dealership of choice in the entire Southeast. Enjoy our gourmet Cafe Benz, award winning Service department and be assured that our commitment to serving you is absolutely the #1 priority! Mercedes-Benz of Buckhead - Where People Drive Us. Every new Mercedes-Benz comes with the peace of mind associated with 24/7 Roadside Assistance throughout its warranty period, the industry's highest consumer confidence ratings, and the quality, comfort, and safety you expect from the world's first car manufacturer.Mercedes-Benz of Buckhead is pleased to offer you this impressive 2019 Mercedes-Benz CLA, generously equipped and finished in beautiful Lunar, along with BLACK MB TEX Artificial Leather. Advertised price excludes all official government fees and taxes, dealer fees and customer-selected options. Please inquire about our Star Elite and Loyalty Rewards Programs. You may also be eligible for additional incentives and/or discounts, so please contact your Mercedes-Benz of Buckhead Sales Professional for more information. 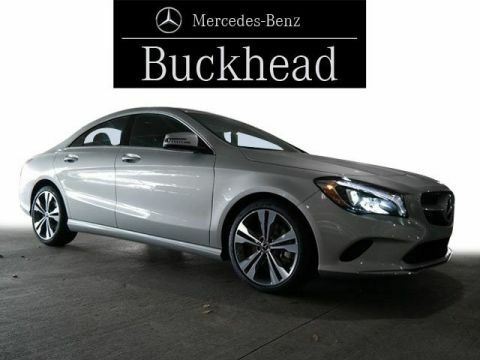 Mercedes-Benz of Buckhead is pleased to offer you this impressive 2019 Mercedes-Benz CLA, generously equipped and finished in beautiful Grey, along with BLACK MB TEX Artificial Leather. Advertised price excludes all official government fees and taxes, dealer fees and customer-selected options. Please inquire about our Star Elite and Loyalty Rewards Programs. You may also be eligible for additional incentives and/or discounts, so please contact your Mercedes-Benz of Buckhead Sales Professional for more information. 2019 Mercedes-Benz CLA CLA 250 Grey 24/37 City/Highway MPG Mercedes-Benz of Buckhead prides ourselves on our exceptional customer satisfaction ratings .... Everyday. Our Certified professional sales staff’s only goal is to treat you to the most relaxed, enjoyable and trustworthy purchasing experience that you have ever had. Our convenient Buckhead location near Lenox Mall and Phipps Plaza, very flexible Sales and Service hours, and expansive of selection of weather-protected new and pre-owned automobiles only adds to that experience. Please allow us to show you what make Mercedes-Benz of Buckhead the luxury car dealership of choice in the entire Southeast. Enjoy our gourmet Cafe Benz, award winning Service department and be assured that our commitment to serving you is absolutely the #1 priority! Mercedes-Benz of Buckhead - Where People Drive Us. Every new Mercedes-Benz comes with the peace of mind associated with 24/7 Roadside Assistance throughout its warranty period, the industry's highest consumer confidence ratings, and the quality, comfort, and safety you expect from the world's first car manufacturer.Mercedes-Benz of Buckhead is pleased to offer you this impressive 2019 Mercedes-Benz CLA, generously equipped and finished in beautiful Grey, along with BLACK MB TEX Artificial Leather. Advertised price excludes all official government fees and taxes, dealer fees and customer-selected options. Please inquire about our Star Elite and Loyalty Rewards Programs. You may also be eligible for additional incentives and/or discounts, so please contact your Mercedes-Benz of Buckhead Sales Professional for more information. Mercedes-Benz of Buckhead is pleased to offer you this impressive 2019 Mercedes-Benz CLA, generously equipped and finished in beautiful Lunar, along with Sahara Beige. Advertised price excludes all official government fees and taxes, dealer fees and customer-selected options. Please inquire about our Star Elite and Loyalty Rewards Programs. You may also be eligible for additional incentives and/or discounts, so please contact your Mercedes-Benz of Buckhead Sales Professional for more information. 2019 Mercedes-Benz CLA CLA 250 Lunar 24/37 City/Highway MPG Mercedes-Benz of Buckhead prides ourselves on our exceptional customer satisfaction ratings .... Everyday. Our Certified professional sales staff’s only goal is to treat you to the most relaxed, enjoyable and trustworthy purchasing experience that you have ever had. Our convenient Buckhead location near Lenox Mall and Phipps Plaza, very flexible Sales and Service hours, and expansive of selection of weather-protected new and pre-owned automobiles only adds to that experience. Please allow us to show you what make Mercedes-Benz of Buckhead the luxury car dealership of choice in the entire Southeast. Enjoy our gourmet Cafe Benz, award winning Service department and be assured that our commitment to serving you is absolutely the #1 priority! Mercedes-Benz of Buckhead - Where People Drive Us. Every new Mercedes-Benz comes with the peace of mind associated with 24/7 Roadside Assistance throughout its warranty period, the industry's highest consumer confidence ratings, and the quality, comfort, and safety you expect from the world's first car manufacturer.Mercedes-Benz of Buckhead is pleased to offer you this impressive 2019 Mercedes-Benz CLA, generously equipped and finished in beautiful Lunar, along with Sahara Beige. Advertised price excludes all official government fees and taxes, dealer fees and customer-selected options. Please inquire about our Star Elite and Loyalty Rewards Programs. You may also be eligible for additional incentives and/or discounts, so please contact your Mercedes-Benz of Buckhead Sales Professional for more information. 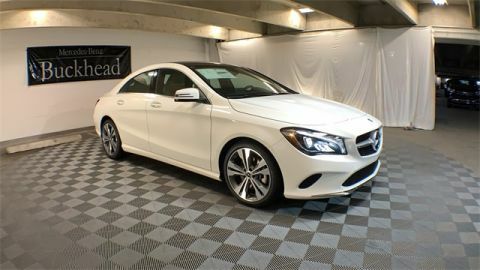 Mercedes-Benz of Buckhead is pleased to offer you this impressive 2019 Mercedes-Benz CLA, generously equipped and finished in beautiful Polar White, along with BLACK MB TEX Artificial Leather. Advertised price excludes all official government fees and taxes, dealer fees and customer-selected options. Please inquire about our Star Elite and Loyalty Rewards Programs. You may also be eligible for additional incentives and/or discounts, so please contact your Mercedes-Benz of Buckhead Sales Professional for more information. 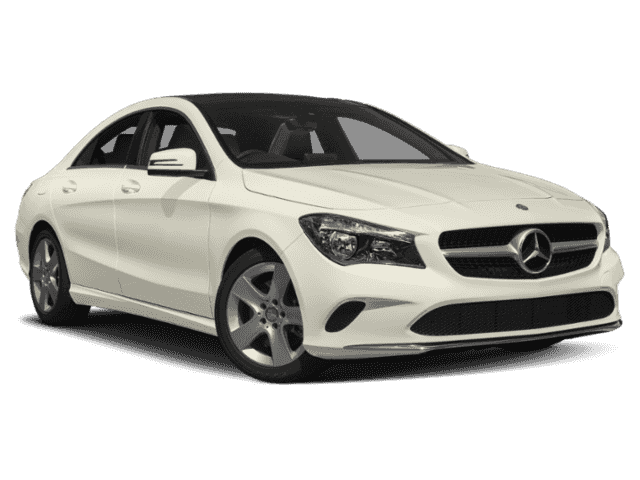 2019 Mercedes-Benz CLA CLA 250 Polar White 24/37 City/Highway MPG Mercedes-Benz of Buckhead prides ourselves on our exceptional customer satisfaction ratings .... Everyday. Our Certified professional sales staff’s only goal is to treat you to the most relaxed, enjoyable and trustworthy purchasing experience that you have ever had. Our convenient Buckhead location near Lenox Mall and Phipps Plaza, very flexible Sales and Service hours, and expansive of selection of weather-protected new and pre-owned automobiles only adds to that experience. Please allow us to show you what make Mercedes-Benz of Buckhead the luxury car dealership of choice in the entire Southeast. Enjoy our gourmet Cafe Benz, award winning Service department and be assured that our commitment to serving you is absolutely the #1 priority! Mercedes-Benz of Buckhead - Where People Drive Us. Every new Mercedes-Benz comes with the peace of mind associated with 24/7 Roadside Assistance throughout its warranty period, the industry's highest consumer confidence ratings, and the quality, comfort, and safety you expect from the world's first car manufacturer.Mercedes-Benz of Buckhead is pleased to offer you this impressive 2019 Mercedes-Benz CLA, generously equipped and finished in beautiful Polar White, along with BLACK MB TEX Artificial Leather. Advertised price excludes all official government fees and taxes, dealer fees and customer-selected options. Please inquire about our Star Elite and Loyalty Rewards Programs. You may also be eligible for additional incentives and/or discounts, so please contact your Mercedes-Benz of Buckhead Sales Professional for more information. Mercedes-Benz of Buckhead is pleased to offer you this impressive 2019 Mercedes-Benz CLA, generously equipped and finished in beautiful Polar White, along with Sahara Beige. Advertised price excludes all official government fees and taxes, dealer fees and customer-selected options. Please inquire about our Star Elite and Loyalty Rewards Programs. You may also be eligible for additional incentives and/or discounts, so please contact your Mercedes-Benz of Buckhead Sales Professional for more information. 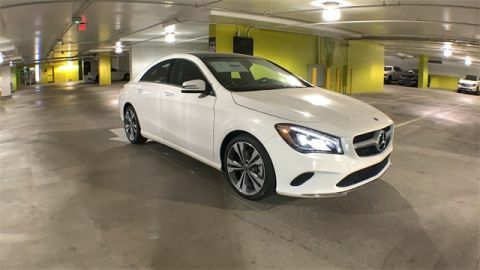 2019 Mercedes-Benz CLA CLA 250 Polar White 24/37 City/Highway MPG Mercedes-Benz of Buckhead prides ourselves on our exceptional customer satisfaction ratings .... Everyday. Our Certified professional sales staff’s only goal is to treat you to the most relaxed, enjoyable and trustworthy purchasing experience that you have ever had. Our convenient Buckhead location near Lenox Mall and Phipps Plaza, very flexible Sales and Service hours, and expansive of selection of weather-protected new and pre-owned automobiles only adds to that experience. Please allow us to show you what make Mercedes-Benz of Buckhead the luxury car dealership of choice in the entire Southeast. Enjoy our gourmet Cafe Benz, award winning Service department and be assured that our commitment to serving you is absolutely the #1 priority! Mercedes-Benz of Buckhead - Where People Drive Us. Every new Mercedes-Benz comes with the peace of mind associated with 24/7 Roadside Assistance throughout its warranty period, the industry's highest consumer confidence ratings, and the quality, comfort, and safety you expect from the world's first car manufacturer.Mercedes-Benz of Buckhead is pleased to offer you this impressive 2019 Mercedes-Benz CLA, generously equipped and finished in beautiful Polar White, along with Sahara Beige. Advertised price excludes all official government fees and taxes, dealer fees and customer-selected options. Please inquire about our Star Elite and Loyalty Rewards Programs. You may also be eligible for additional incentives and/or discounts, so please contact your Mercedes-Benz of Buckhead Sales Professional for more information. Mercedes-Benz of Buckhead is pleased to offer you this impressive 2019 Mercedes-Benz CLA, generously equipped and finished in beautiful Grey, along with Sahara Beige. Advertised price excludes all official government fees and taxes, dealer fees and customer-selected options. Please inquire about our Star Elite and Loyalty Rewards Programs. You may also be eligible for additional incentives and/or discounts, so please contact your Mercedes-Benz of Buckhead Sales Professional for more information. 2019 Mercedes-Benz CLA CLA 250 Grey 24/37 City/Highway MPG Mercedes-Benz of Buckhead prides ourselves on our exceptional customer satisfaction ratings .... Everyday. Our Certified professional sales staff’s only goal is to treat you to the most relaxed, enjoyable and trustworthy purchasing experience that you have ever had. Our convenient Buckhead location near Lenox Mall and Phipps Plaza, very flexible Sales and Service hours, and expansive of selection of weather-protected new and pre-owned automobiles only adds to that experience. Please allow us to show you what make Mercedes-Benz of Buckhead the luxury car dealership of choice in the entire Southeast. Enjoy our gourmet Cafe Benz, award winning Service department and be assured that our commitment to serving you is absolutely the #1 priority! Mercedes-Benz of Buckhead - Where People Drive Us. 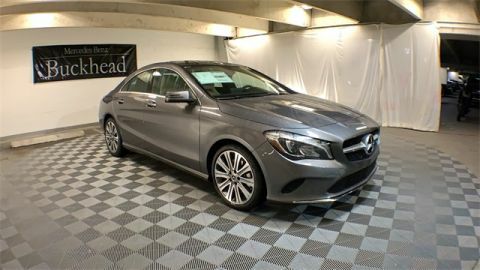 Every new Mercedes-Benz comes with the peace of mind associated with 24/7 Roadside Assistance throughout its warranty period, the industry's highest consumer confidence ratings, and the quality, comfort, and safety you expect from the world's first car manufacturer.Mercedes-Benz of Buckhead is pleased to offer you this impressive 2019 Mercedes-Benz CLA, generously equipped and finished in beautiful Grey, along with Sahara Beige. Advertised price excludes all official government fees and taxes, dealer fees and customer-selected options. Please inquire about our Star Elite and Loyalty Rewards Programs. You may also be eligible for additional incentives and/or discounts, so please contact your Mercedes-Benz of Buckhead Sales Professional for more information. 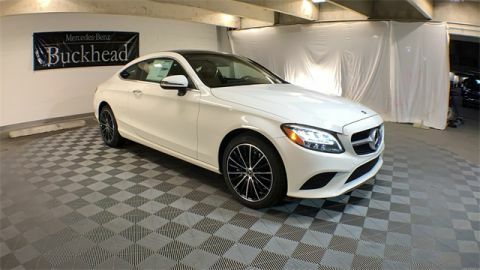 Mercedes-Benz of Buckhead is pleased to offer you this impressive 2019 Mercedes-Benz C-Class, generously equipped and finished in beautiful Polar White, along with SADDLE BROWN MB TEX Artificial Leather. Advertised price excludes all official government fees and taxes, dealer fees and customer-selected options. Please inquire about our Star Elite and Loyalty Rewards Programs. You may also be eligible for additional incentives and/or discounts, so please contact your Mercedes-Benz of Buckhead Sales Professional for more information. 2019 Mercedes-Benz C-Class C 300 Polar White 22/31 City/Highway MPG Mercedes-Benz of Buckhead prides ourselves on our exceptional customer satisfaction ratings .... Everyday. Our Certified professional sales staff’s only goal is to treat you to the most relaxed, enjoyable and trustworthy purchasing experience that you have ever had. Our convenient Buckhead location near Lenox Mall and Phipps Plaza, very flexible Sales and Service hours, and expansive of selection of weather-protected new and pre-owned automobiles only adds to that experience. Please allow us to show you what make Mercedes-Benz of Buckhead the luxury car dealership of choice in the entire Southeast. Enjoy our gourmet Cafe Benz, award winning Service department and be assured that our commitment to serving you is absolutely the #1 priority! Mercedes-Benz of Buckhead - Where People Drive Us. Every new Mercedes-Benz comes with the peace of mind associated with 24/7 Roadside Assistance throughout its warranty period, the industry's highest consumer confidence ratings, and the quality, comfort, and safety you expect from the world's first car manufacturer.Mercedes-Benz of Buckhead is pleased to offer you this impressive 2019 Mercedes-Benz C-Class, generously equipped and finished in beautiful Polar White, along with SADDLE BROWN MB TEX Artificial Leather. Advertised price excludes all official government fees and taxes, dealer fees and customer-selected options. Please inquire about our Star Elite and Loyalty Rewards Programs. You may also be eligible for additional incentives and/or discounts, so please contact your Mercedes-Benz of Buckhead Sales Professional for more information. Mercedes-Benz of Buckhead is pleased to offer you this impressive 2019 Mercedes-Benz C-Class, generously equipped and finished in beautiful Silver, along with BLACK MB-TEX Artificial Leather. Advertised price excludes all official government fees and taxes, dealer fees and customer-selected options. Please inquire about our Star Elite and Loyalty Rewards Programs. You may also be eligible for additional incentives and/or discounts, so please contact your Mercedes-Benz of Buckhead Sales Professional for more information. 2019 Mercedes-Benz C-Class C 300 Silver 22/31 City/Highway MPG Mercedes-Benz of Buckhead prides ourselves on our exceptional customer satisfaction ratings .... Everyday. Our Certified professional sales staff’s only goal is to treat you to the most relaxed, enjoyable and trustworthy purchasing experience that you have ever had. Our convenient Buckhead location near Lenox Mall and Phipps Plaza, very flexible Sales and Service hours, and expansive of selection of weather-protected new and pre-owned automobiles only adds to that experience. Please allow us to show you what make Mercedes-Benz of Buckhead the luxury car dealership of choice in the entire Southeast. Enjoy our gourmet Cafe Benz, award winning Service department and be assured that our commitment to serving you is absolutely the #1 priority! Mercedes-Benz of Buckhead - Where People Drive Us. Every new Mercedes-Benz comes with the peace of mind associated with 24/7 Roadside Assistance throughout its warranty period, the industry's highest consumer confidence ratings, and the quality, comfort, and safety you expect from the world's first car manufacturer.Mercedes-Benz of Buckhead is pleased to offer you this impressive 2019 Mercedes-Benz C-Class, generously equipped and finished in beautiful Silver, along with BLACK MB-TEX Artificial Leather. Advertised price excludes all official government fees and taxes, dealer fees and customer-selected options. Please inquire about our Star Elite and Loyalty Rewards Programs. You may also be eligible for additional incentives and/or discounts, so please contact your Mercedes-Benz of Buckhead Sales Professional for more information. 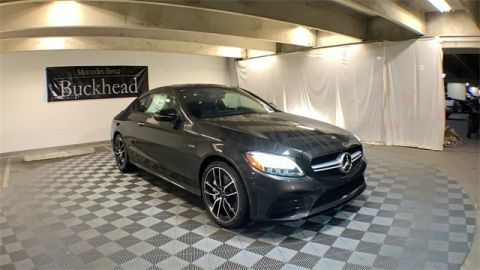 Mercedes-Benz of Buckhead is pleased to offer you this impressive 2019 Mercedes-Benz C-Class, generously equipped and finished in beautiful Graphite, along with . Advertised price excludes all official government fees and taxes, dealer fees and customer-selected options. Please inquire about our Star Elite and Loyalty Rewards Programs. You may also be eligible for additional incentives and/or discounts, so please contact your Mercedes-Benz of Buckhead Sales Professional for more information. 2019 Mercedes-Benz C-Class C 300 Graphite 22/31 City/Highway MPG Mercedes-Benz of Buckhead prides ourselves on our exceptional customer satisfaction ratings .... Everyday. Our Certified professional sales staff’s only goal is to treat you to the most relaxed, enjoyable and trustworthy purchasing experience that you have ever had. Our convenient Buckhead location near Lenox Mall and Phipps Plaza, very flexible Sales and Service hours, and expansive of selection of weather-protected new and pre-owned automobiles only adds to that experience. Please allow us to show you what make Mercedes-Benz of Buckhead the luxury car dealership of choice in the entire Southeast. Enjoy our gourmet Cafe Benz, award winning Service department and be assured that our commitment to serving you is absolutely the #1 priority! Mercedes-Benz of Buckhead - Where People Drive Us. Every new Mercedes-Benz comes with the peace of mind associated with 24/7 Roadside Assistance throughout its warranty period, the industry's highest consumer confidence ratings, and the quality, comfort, and safety you expect from the world's first car manufacturer.Mercedes-Benz of Buckhead is pleased to offer you this impressive 2019 Mercedes-Benz C-Class, generously equipped and finished in beautiful Graphite, along with . Advertised price excludes all official government fees and taxes, dealer fees and customer-selected options. Please inquire about our Star Elite and Loyalty Rewards Programs. You may also be eligible for additional incentives and/or discounts, so please contact your Mercedes-Benz of Buckhead Sales Professional for more information. Recent Arrival! 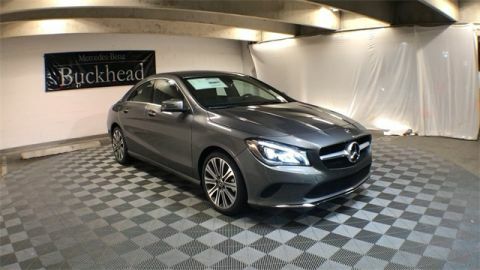 Mercedes-Benz of Buckhead is pleased to offer you this impressive 2019 Mercedes-Benz C-Class, generously equipped and finished in beautiful Lunar, along with MAGMA GREY MB-TEX Artificial Leather. Advertised price excludes all official government fees and taxes, dealer fees and customer-selected options. Please inquire about our Star Elite and Loyalty Rewards Programs. You may also be eligible for additional incentives and/or discounts, so please contact your Mercedes-Benz of Buckhead Sales Professional for more information. 2019 Mercedes-Benz C-Class C 300 Lunar 21/29 City/Highway MPG Mercedes-Benz of Buckhead prides ourselves on our exceptional customer satisfaction ratings .... Everyday. Our Certified professional sales staff’s only goal is to treat you to the most relaxed, enjoyable and trustworthy purchasing experience that you have ever had. Our convenient Buckhead location near Lenox Mall and Phipps Plaza, very flexible Sales and Service hours, and expansive of selection of weather-protected new and pre-owned automobiles only adds to that experience. Please allow us to show you what make Mercedes-Benz of Buckhead the luxury car dealership of choice in the entire Southeast. Enjoy our gourmet Cafe Benz, award winning Service department and be assured that our commitment to serving you is absolutely the #1 priority! Mercedes-Benz of Buckhead - Where People Drive Us. Every new Mercedes-Benz comes with the peace of mind associated with 24/7 Roadside Assistance throughout its warranty period, the industry's highest consumer confidence ratings, and the quality, comfort, and safety you expect from the world's first car manufacturer.Recent Arrival! Mercedes-Benz of Buckhead is pleased to offer you this impressive 2019 Mercedes-Benz C-Class, generously equipped and finished in beautiful Lunar, along with MAGMA GREY MB-TEX Artificial Leather. Advertised price excludes all official government fees and taxes, dealer fees and customer-selected options. Please inquire about our Star Elite and Loyalty Rewards Programs. You may also be eligible for additional incentives and/or discounts, so please contact your Mercedes-Benz of Buckhead Sales Professional for more information. Recent Arrival! 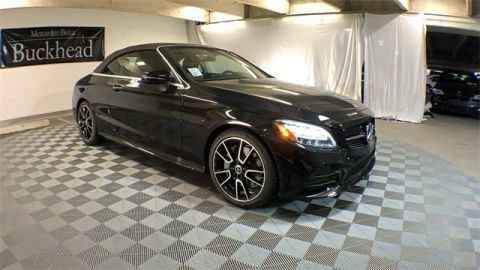 Mercedes-Benz of Buckhead is pleased to offer you this impressive 2019 Mercedes-Benz C-Class, generously equipped and finished in beautiful Black, along with SADDLE BROWN MB TEX Artificial Leather. Advertised price excludes all official government fees and taxes, dealer fees and customer-selected options. Please inquire about our Star Elite and Loyalty Rewards Programs. You may also be eligible for additional incentives and/or discounts, so please contact your Mercedes-Benz of Buckhead Sales Professional for more information. 2019 Mercedes-Benz C-Class C 300 Black 21/29 City/Highway MPG Mercedes-Benz of Buckhead prides ourselves on our exceptional customer satisfaction ratings .... Everyday. Our Certified professional sales staff’s only goal is to treat you to the most relaxed, enjoyable and trustworthy purchasing experience that you have ever had. Our convenient Buckhead location near Lenox Mall and Phipps Plaza, very flexible Sales and Service hours, and expansive of selection of weather-protected new and pre-owned automobiles only adds to that experience. Please allow us to show you what make Mercedes-Benz of Buckhead the luxury car dealership of choice in the entire Southeast. Enjoy our gourmet Cafe Benz, award winning Service department and be assured that our commitment to serving you is absolutely the #1 priority! Mercedes-Benz of Buckhead - Where People Drive Us. Every new Mercedes-Benz comes with the peace of mind associated with 24/7 Roadside Assistance throughout its warranty period, the industry's highest consumer confidence ratings, and the quality, comfort, and safety you expect from the world's first car manufacturer.Recent Arrival! 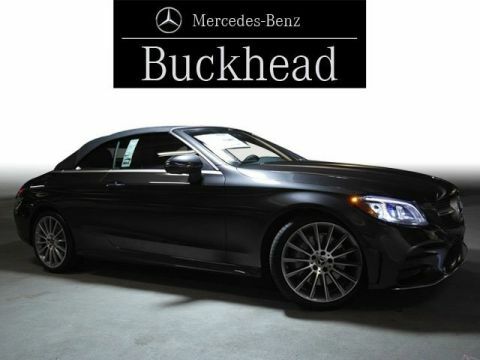 Mercedes-Benz of Buckhead is pleased to offer you this impressive 2019 Mercedes-Benz C-Class, generously equipped and finished in beautiful Black, along with SADDLE BROWN MB TEX Artificial Leather. Advertised price excludes all official government fees and taxes, dealer fees and customer-selected options. Please inquire about our Star Elite and Loyalty Rewards Programs. You may also be eligible for additional incentives and/or discounts, so please contact your Mercedes-Benz of Buckhead Sales Professional for more information. Recent Arrival! Mercedes-Benz of Buckhead is pleased to offer you this impressive 2019 Mercedes-Benz SLC, generously equipped and finished in beautiful Brilliant Blue, along with BLACK MB-TEX Artificial Leather. Advertised price excludes all official government fees and taxes, dealer fees and customer-selected options. Please inquire about our Star Elite and Loyalty Rewards Programs. You may also be eligible for additional incentives and/or discounts, so please contact your Mercedes-Benz of Buckhead Sales Professional for more information. 2019 Mercedes-Benz SLC SLC 300 Brilliant Blue 23/32 City/Highway MPG Mercedes-Benz of Buckhead prides ourselves on our exceptional customer satisfaction ratings .... Everyday. Our Certified professional sales staff’s only goal is to treat you to the most relaxed, enjoyable and trustworthy purchasing experience that you have ever had. Our convenient Buckhead location near Lenox Mall and Phipps Plaza, very flexible Sales and Service hours, and expansive of selection of weather-protected new and pre-owned automobiles only adds to that experience. Please allow us to show you what make Mercedes-Benz of Buckhead the luxury car dealership of choice in the entire Southeast. Enjoy our gourmet Cafe Benz, award winning Service department and be assured that our commitment to serving you is absolutely the #1 priority! Mercedes-Benz of Buckhead - Where People Drive Us. Every new Mercedes-Benz comes with the peace of mind associated with 24/7 Roadside Assistance throughout its warranty period, the industry's highest consumer confidence ratings, and the quality, comfort, and safety you expect from the world's first car manufacturer.Recent Arrival! 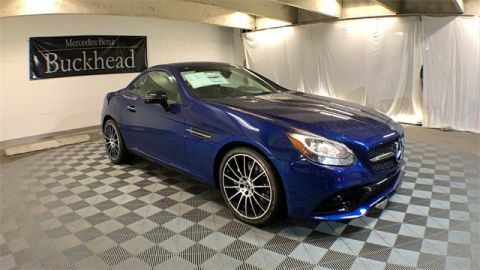 Mercedes-Benz of Buckhead is pleased to offer you this impressive 2019 Mercedes-Benz SLC, generously equipped and finished in beautiful Brilliant Blue, along with BLACK MB-TEX Artificial Leather. Advertised price excludes all official government fees and taxes, dealer fees and customer-selected options. Please inquire about our Star Elite and Loyalty Rewards Programs. You may also be eligible for additional incentives and/or discounts, so please contact your Mercedes-Benz of Buckhead Sales Professional for more information. 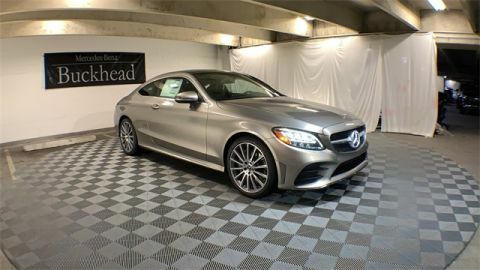 Mercedes-Benz of Buckhead is pleased to offer you this impressive 2019 Mercedes-Benz C-Class, generously equipped and finished in beautiful Grey, along with SILK BEIGE MB-TEX Artificial Leather. Advertised price excludes all official government fees and taxes, dealer fees and customer-selected options. Please inquire about our Star Elite and Loyalty Rewards Programs. You may also be eligible for additional incentives and/or discounts, so please contact your Mercedes-Benz of Buckhead Sales Professional for more information. 2019 Mercedes-Benz C-Class C 300 Grey 21/29 City/Highway MPG Mercedes-Benz of Buckhead prides ourselves on our exceptional customer satisfaction ratings .... Everyday. Our Certified professional sales staff’s only goal is to treat you to the most relaxed, enjoyable and trustworthy purchasing experience that you have ever had. Our convenient Buckhead location near Lenox Mall and Phipps Plaza, very flexible Sales and Service hours, and expansive of selection of weather-protected new and pre-owned automobiles only adds to that experience. Please allow us to show you what make Mercedes-Benz of Buckhead the luxury car dealership of choice in the entire Southeast. Enjoy our gourmet Cafe Benz, award winning Service department and be assured that our commitment to serving you is absolutely the #1 priority! Mercedes-Benz of Buckhead - Where People Drive Us. Every new Mercedes-Benz comes with the peace of mind associated with 24/7 Roadside Assistance throughout its warranty period, the industry's highest consumer confidence ratings, and the quality, comfort, and safety you expect from the world's first car manufacturer.Mercedes-Benz of Buckhead is pleased to offer you this impressive 2019 Mercedes-Benz C-Class, generously equipped and finished in beautiful Grey, along with SILK BEIGE MB-TEX Artificial Leather. Advertised price excludes all official government fees and taxes, dealer fees and customer-selected options. Please inquire about our Star Elite and Loyalty Rewards Programs. You may also be eligible for additional incentives and/or discounts, so please contact your Mercedes-Benz of Buckhead Sales Professional for more information. 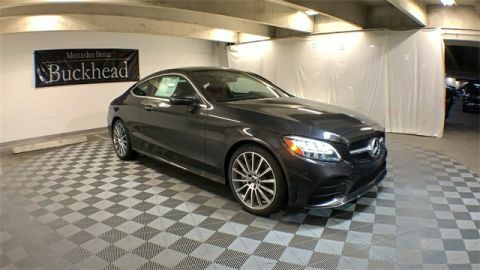 Mercedes-Benz of Buckhead is pleased to offer you this impressive 2019 Mercedes-Benz C-Class, generously equipped and finished in beautiful Graphite, along with SADDLE BROWN MB TEX Artificial Leather. Advertised price excludes all official government fees and taxes, dealer fees and customer-selected options. Please inquire about our Star Elite and Loyalty Rewards Programs. You may also be eligible for additional incentives and/or discounts, so please contact your Mercedes-Benz of Buckhead Sales Professional for more information. 2019 Mercedes-Benz C-Class C 300 Graphite 21/29 City/Highway MPG Mercedes-Benz of Buckhead prides ourselves on our exceptional customer satisfaction ratings .... Everyday. Our Certified professional sales staff’s only goal is to treat you to the most relaxed, enjoyable and trustworthy purchasing experience that you have ever had. Our convenient Buckhead location near Lenox Mall and Phipps Plaza, very flexible Sales and Service hours, and expansive of selection of weather-protected new and pre-owned automobiles only adds to that experience. Please allow us to show you what make Mercedes-Benz of Buckhead the luxury car dealership of choice in the entire Southeast. Enjoy our gourmet Cafe Benz, award winning Service department and be assured that our commitment to serving you is absolutely the #1 priority! Mercedes-Benz of Buckhead - Where People Drive Us. Every new Mercedes-Benz comes with the peace of mind associated with 24/7 Roadside Assistance throughout its warranty period, the industry's highest consumer confidence ratings, and the quality, comfort, and safety you expect from the world's first car manufacturer.Mercedes-Benz of Buckhead is pleased to offer you this impressive 2019 Mercedes-Benz C-Class, generously equipped and finished in beautiful Graphite, along with SADDLE BROWN MB TEX Artificial Leather. Advertised price excludes all official government fees and taxes, dealer fees and customer-selected options. Please inquire about our Star Elite and Loyalty Rewards Programs. You may also be eligible for additional incentives and/or discounts, so please contact your Mercedes-Benz of Buckhead Sales Professional for more information. 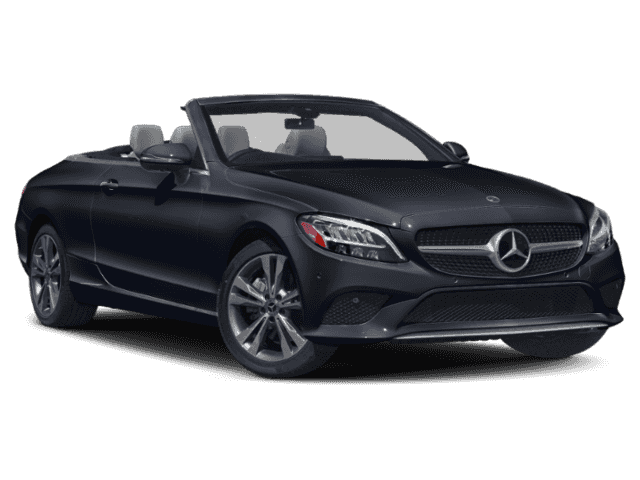 Mercedes-Benz of Buckhead is pleased to offer you this impressive 2019 Mercedes-Benz C-Class, generously equipped and finished in beautiful Black, along with SILK BEIGE MB-TEX Artificial Leather. Advertised price excludes all official government fees and taxes, dealer fees and customer-selected options. Please inquire about our Star Elite and Loyalty Rewards Programs. You may also be eligible for additional incentives and/or discounts, so please contact your Mercedes-Benz of Buckhead Sales Professional for more information. 2019 Mercedes-Benz C-Class C 300 Black 21/29 City/Highway MPG Mercedes-Benz of Buckhead prides ourselves on our exceptional customer satisfaction ratings .... Everyday. Our Certified professional sales staff’s only goal is to treat you to the most relaxed, enjoyable and trustworthy purchasing experience that you have ever had. Our convenient Buckhead location near Lenox Mall and Phipps Plaza, very flexible Sales and Service hours, and expansive of selection of weather-protected new and pre-owned automobiles only adds to that experience. Please allow us to show you what make Mercedes-Benz of Buckhead the luxury car dealership of choice in the entire Southeast. Enjoy our gourmet Cafe Benz, award winning Service department and be assured that our commitment to serving you is absolutely the #1 priority! Mercedes-Benz of Buckhead - Where People Drive Us. Every new Mercedes-Benz comes with the peace of mind associated with 24/7 Roadside Assistance throughout its warranty period, the industry's highest consumer confidence ratings, and the quality, comfort, and safety you expect from the world's first car manufacturer.Mercedes-Benz of Buckhead is pleased to offer you this impressive 2019 Mercedes-Benz C-Class, generously equipped and finished in beautiful Black, along with SILK BEIGE MB-TEX Artificial Leather. Advertised price excludes all official government fees and taxes, dealer fees and customer-selected options. Please inquire about our Star Elite and Loyalty Rewards Programs. You may also be eligible for additional incentives and/or discounts, so please contact your Mercedes-Benz of Buckhead Sales Professional for more information. 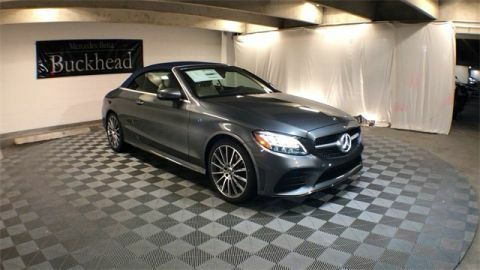 Mercedes-Benz of Buckhead is pleased to offer you this impressive 2019 Mercedes-Benz C-Class, generously equipped and finished in beautiful Graphite, along with . Advertised price excludes all official government fees and taxes, dealer fees and customer-selected options. Please inquire about our Star Elite and Loyalty Rewards Programs. You may also be eligible for additional incentives and/or discounts, so please contact your Mercedes-Benz of Buckhead Sales Professional for more information. 2019 Mercedes-Benz C-Class C 43 AMG® Graphite 19/27 City/Highway MPG Mercedes-Benz of Buckhead prides ourselves on our exceptional customer satisfaction ratings .... Everyday. Our Certified professional sales staff’s only goal is to treat you to the most relaxed, enjoyable and trustworthy purchasing experience that you have ever had. Our convenient Buckhead location near Lenox Mall and Phipps Plaza, very flexible Sales and Service hours, and expansive of selection of weather-protected new and pre-owned automobiles only adds to that experience. Please allow us to show you what make Mercedes-Benz of Buckhead the luxury car dealership of choice in the entire Southeast. Enjoy our gourmet Cafe Benz, award winning Service department and be assured that our commitment to serving you is absolutely the #1 priority! Mercedes-Benz of Buckhead - Where People Drive Us. Every new Mercedes-Benz comes with the peace of mind associated with 24/7 Roadside Assistance throughout its warranty period, the industry's highest consumer confidence ratings, and the quality, comfort, and safety you expect from the world's first car manufacturer.Mercedes-Benz of Buckhead is pleased to offer you this impressive 2019 Mercedes-Benz C-Class, generously equipped and finished in beautiful Graphite, along with . Advertised price excludes all official government fees and taxes, dealer fees and customer-selected options. Please inquire about our Star Elite and Loyalty Rewards Programs. You may also be eligible for additional incentives and/or discounts, so please contact your Mercedes-Benz of Buckhead Sales Professional for more information. 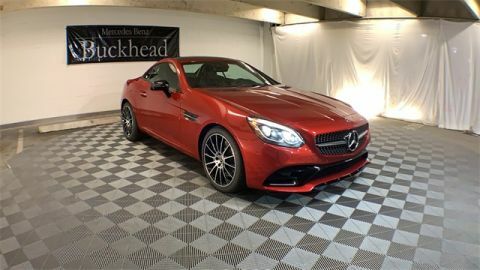 Mercedes-Benz of Buckhead is pleased to offer you this impressive 2019 Mercedes-Benz SLC, generously equipped and finished in beautiful Cardinal Red, along with BLACK LEATHER Leather. Advertised price excludes all official government fees and taxes, dealer fees and customer-selected options. Please inquire about our Star Elite and Loyalty Rewards Programs. You may also be eligible for additional incentives and/or discounts, so please contact your Mercedes-Benz of Buckhead Sales Professional for more information. 2019 Mercedes-Benz SLC SLC 300 Cardinal Red 23/32 City/Highway MPG Mercedes-Benz of Buckhead prides ourselves on our exceptional customer satisfaction ratings .... Everyday. Our Certified professional sales staff’s only goal is to treat you to the most relaxed, enjoyable and trustworthy purchasing experience that you have ever had. Our convenient Buckhead location near Lenox Mall and Phipps Plaza, very flexible Sales and Service hours, and expansive of selection of weather-protected new and pre-owned automobiles only adds to that experience. Please allow us to show you what make Mercedes-Benz of Buckhead the luxury car dealership of choice in the entire Southeast. Enjoy our gourmet Cafe Benz, award winning Service department and be assured that our commitment to serving you is absolutely the #1 priority! Mercedes-Benz of Buckhead - Where People Drive Us. 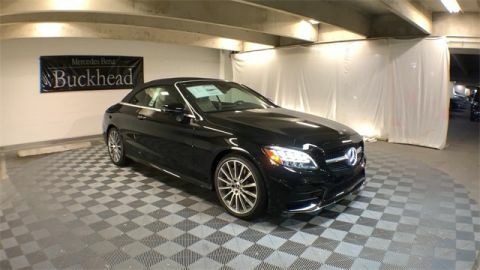 Every new Mercedes-Benz comes with the peace of mind associated with 24/7 Roadside Assistance throughout its warranty period, the industry's highest consumer confidence ratings, and the quality, comfort, and safety you expect from the world's first car manufacturer.Mercedes-Benz of Buckhead is pleased to offer you this impressive 2019 Mercedes-Benz SLC, generously equipped and finished in beautiful Cardinal Red, along with BLACK LEATHER Leather. Advertised price excludes all official government fees and taxes, dealer fees and customer-selected options. Please inquire about our Star Elite and Loyalty Rewards Programs. You may also be eligible for additional incentives and/or discounts, so please contact your Mercedes-Benz of Buckhead Sales Professional for more information.